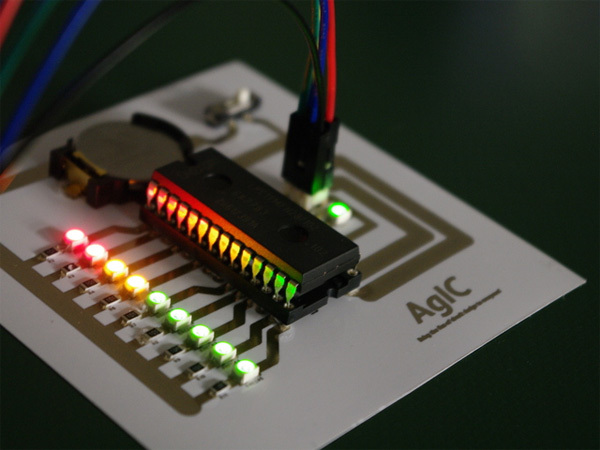 * Now you can use an inkjet printer to quickly prototype circuits. MAKE demonstrates how. * A new VC firm in Los Angeles, TYLT Labs, is targeting hardware startups. * 3D Hubs and the Francis Bitonti Studio are planning to launch a new, distributed Cloud Collection this week. First up: vases and bowls that let you choose the level of milling and scoring on the surface, below. * A former reporter, now working for Celery, has written a no-nonsense report on the realities of PR for startups. One tip that shows he knows what he’s talking about: Don’t bother writing a press release; they only work for established companies. * CircuitHub has partnered with Worthington Assembly to create a cloud-based fabrication service to grow your product quantity from 1 to 10,000. * The Singapore Maker Map for hardware startups sets a standard for other cities and regions to emulate. * AT&T, Cisco, GE, IBM, and Intel have joined together to form the Industrial Internet Consortium, to “improve integration of the physical and digital worlds.” If you’re trying to remember the other IoT industry alliance, announced last year, it is the AllSeen Alliance. * Additively wants to crowdsource additive manufacturing according to the model above: post the parts you need, and they will help you select the right 3D printing technology based on offers from various service providers. 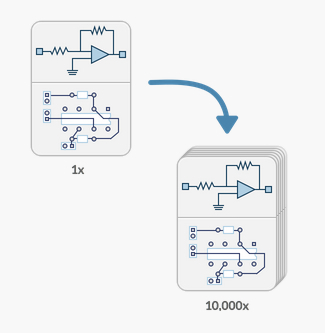 * SF’s Lemnos Labs has raised a new round of funding to support early-stage hardware startups. 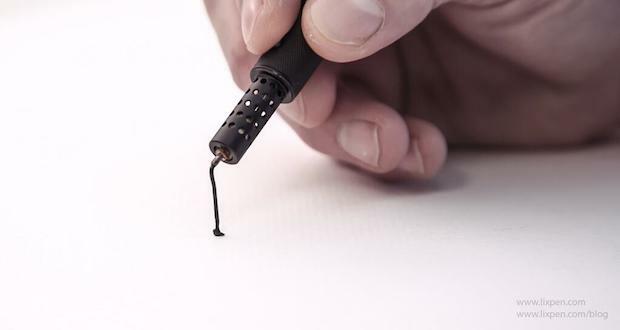 * The Lix pen, a sleek, aluminum 3D printer pen, will be taking preorders on Kickstarter soon. 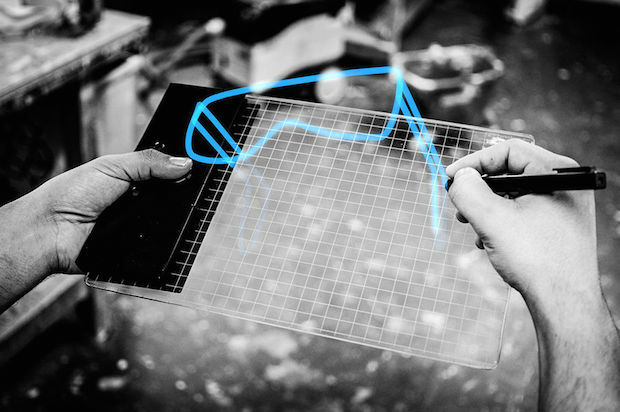 * If you’d rather stay virtual, you can wait for the Gravity sketch pad, above. * Have you been inspired by emerging trends like social innovation and conscious capitalism? You may be a member of the The Purpose Economy. There’s a new filament maker on the upswing: nature. A German company, twoBEars, is working with renewable raw materials to create biodegradable filaments. That’s their mixing board, above. 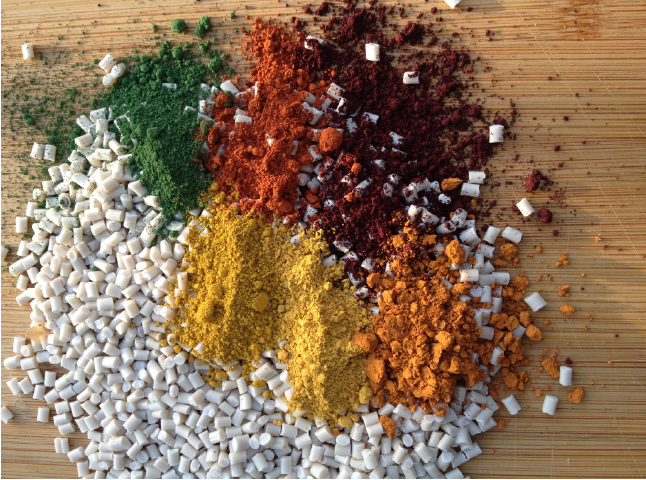 Sierra Resins and 3D Printlife have partnered to introduce a “bioplastic” filament. Finally, Le FabShop, in Paris, just announced that it is working on a green 3D printing filament, made from seaweed, in partnership with another French company, Algopack. 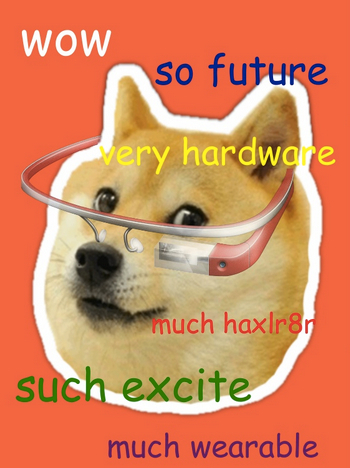 Benjamin Joffe (@benjaminjoffe), general partner at the HAXLR8R accelerator, has put together an energetic slideshow, fronted by a Google-Glass-wearing dog, that sums up his take on the state of hardware manufacturing. Among the new developments, according to Joffe: “prototyping is solved.” The presentation also has a lot of advice for startups, including a list of 12 “wares” to avoid, including FUNware (“no business”), EASYware (“not defensible”), and ten others. 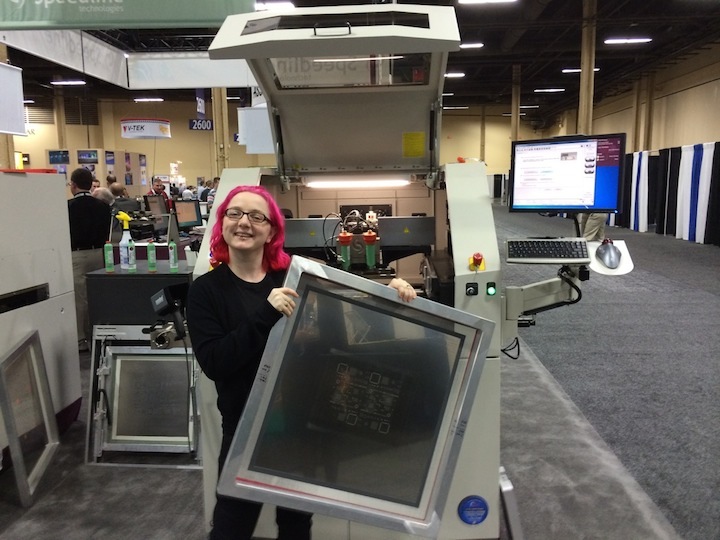 Limor “Ladyada” Fried (@adafruit) has been shopping for manufacturing equipment at the giant Apex Expo in Las Vegas, and it’s been fun to follow along. That’s her, above, checking out a Speedline Momentum Elite stencil printer, which she already owns, and loves. Limor visited, and offered commentary on, more than a dozen similarly huge industrial tools, making them seem almost accessible — something she’s good at. Subscribe to the Maker Pro Twitter list here. We'll end today in the words of @mbanzi, “You don't need anyone's permission to create something great." Happy #ArduinoD14, Everyone! The 9th annual Maker Faire Bay Area, our “home game” that started it all, is taking place May 17 and 18 at the San Mateo Fairgrounds. Hey, Maker Pros — MAKE is hosting its first MakerCon, May 13–14, the week of Maker Faire Bay Area. Working on something new? Consider applying for the Innovation Showcase or the Pitch your Prototype contest. Check out MakerCon.com for a full list of speakers and themes. How to Make Your Way to Maker Faire Bay Area, and Maker Faire Rome. 1. 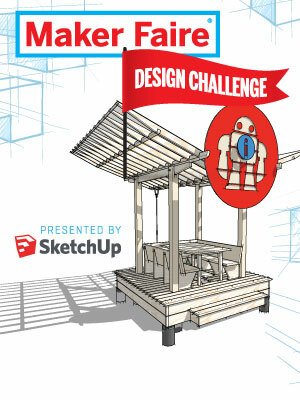 Come up with the winning design for the Maker Faire Info Booth. Book your free trip to San Francisco to attend Maker Faire Bay Area. You have until April 14 to submit your design. 2. Then smoke the competition with your entry into MAKE’s Arduino project contest. You’ll receive $5,000 for air fare and hotel expenses for two to attend Maker Faire Rome Sept. 28–Oct. 5, 2014. The period for submission of applications runs until Apr. 25. Click here to enter.